The CoffeeShop Blog: CoffeeShop 2020 PS/PSE Action! I have so many actions on my computer that I have written and just haven't had the time to post, and this action is one of them and also a favorite. CoffeeShop 2020 reminds me of how it feels after you visit the optometrist and get a new set of glasses or contacts. Suddenly everything seems so sharp and new. CoffeeShop 2020 is actually a pretty complex action and can't be done without an action in PSE since it loads channels as selections; but it runs beautifully in both Photoshop and PSE. 1. Open your images and start the action. The action will flatten the image, and then open a levels adjustment pane. You can adjust the levels sliders to taste. I usually try to move the shadow (left) and highlight (right) sliders under the beginning of the curve, and I move the gamma (middle) slider to lighten or darken my image midtones. 2. The action will finish and there will be two layers, the background and a layer called "2020". You can adjust the opacity of the 2020 layer and/or use a soft low opacity black brush on the layer mask to remove the 2020 effect where necessary. 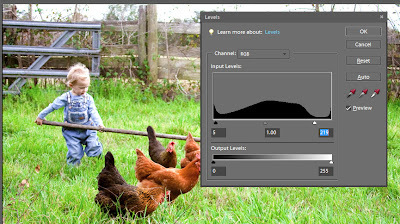 This action is very practical and I use it all of the time on my images. It really adds that extra "pop" and sharpness without affecting colors. 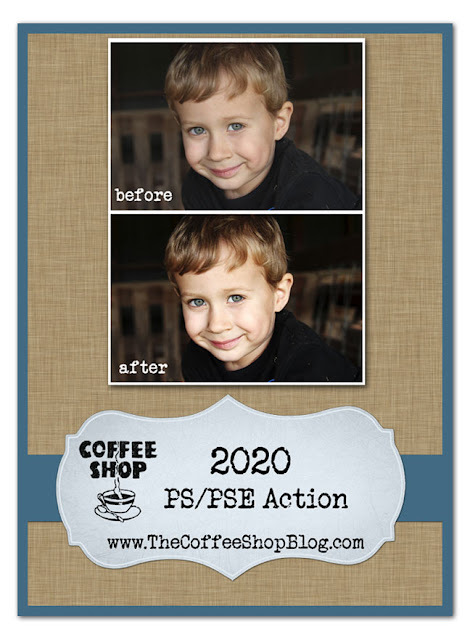 Download the free CoffeeShop 2020 PS/PSE action. Thank you again Rita. This action looks gorgeous and I can't wait to use it. Thank you, Thank you, Thank you! This couldn't have come at a better time! This is just what I need to give my Son's 18 month photos that extra "umf"! Thank you again! Thank you, it will be a treat to try as soon as I have Photoshop again! u so rock Rita! thanks so much for sharing with us. Another great action! Thank you so much! Thank you so much for all the freebies you give us. you're spoiling me :P.
YAY! I've been waiting for this one since you first mentioned it!!!! THANK YOU! Thanks SO much Rita. This looks brilliant - as are all your actions! i've been playing with this all night! It has made editing my pictures much easier! Thanks! Looks great, thank you so much for all your actions!! Thank you for another fantastic action! Thank you so much for this post. I want to let you know that I posted a link to your blog in CBH Digital Scrapbooking Freebies, under the Page 4 post on Mar. 11, 2011. Thanks again. This is awesome! I luv your actions! Thank you! This one will definitely come in handy! i love the new action... very striking. Thanks for sharing and I hope you have a wonderful weekend. Thank you so much, I love your actions! Thanks so much! I can't wait to try! This is great work as always!! Many thanks! Here is a suggestion to make your actions even better : people who don't use Photoshop in English can't use your actions because of the steps 'select layer "Layer1"'. Layers are named after Photoshop's language. 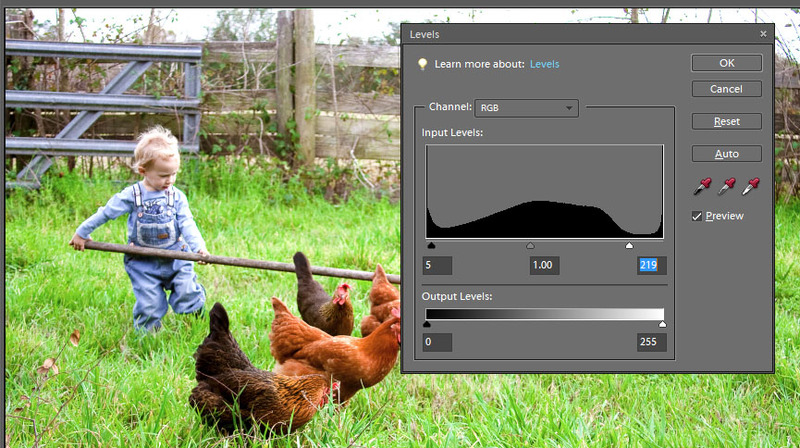 So to make it work for anyone, you could use the functions "select next layer" or "select previous layer". You can first register them with the shortcuts Alt + [ or ], in believe, in the English version. Thank you so so much for allowing us to use your talents to enhance our work. What a true blessing!! I love this action!! The color is so bright and will be a great addition to my photos! Thank you! Im trying to download this action and Im not familiar with the site? Is this a free action download? I just checked it and it is working. :-) It is a direct download to your computer.